Here you can see the roost bar and the piece of wood that holds the Sweet PDZ in place removed for easy cleaning. All clean. Now for some fresh lavender and Rosemary as the finishing touch. Love these grape hyacinths. Maybe almost as much as this guy does. 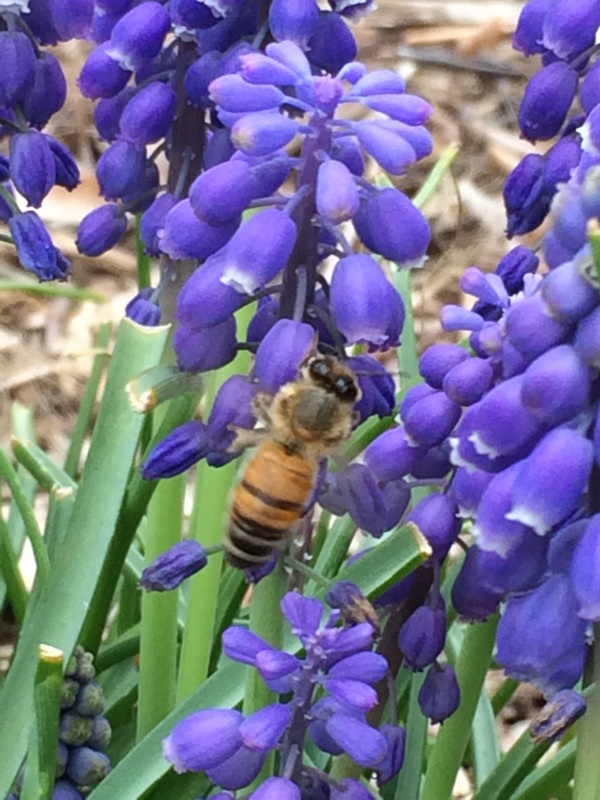 Here’s a busy little bee making the most of the grape hyacinths. They are the first flowers to bloom in abundance in my garden each spring and are always such a welcome burst of lovely sweet colour. J’adore grape hyacinths, don’t you? 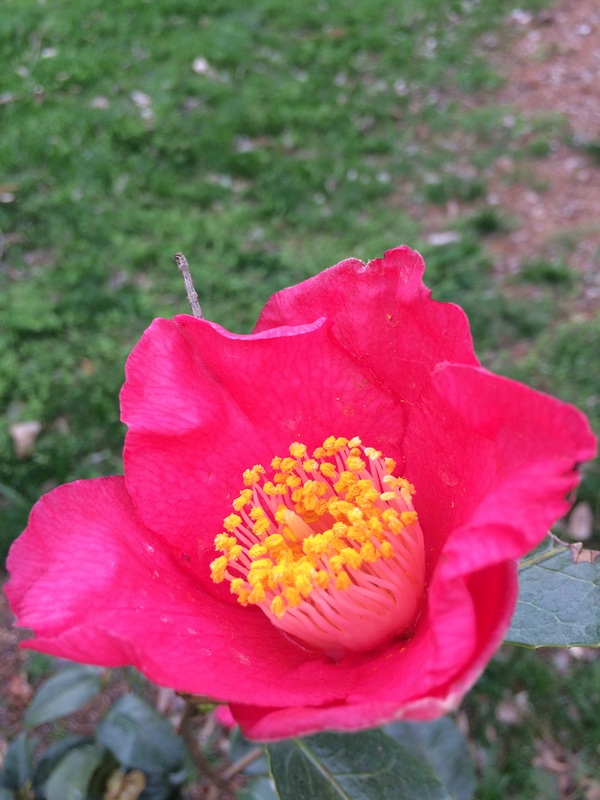 I’ve not grown camellias before – these are my first and newly planted this past autumn. I planted them to provide some screening from our neighbours although it will take some 20 years for them to grow to a useful size to fill that role. 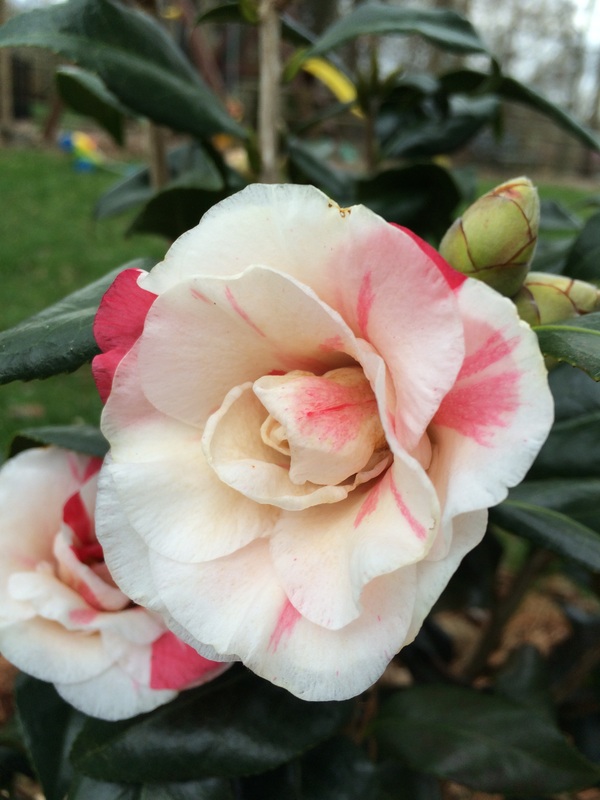 Until then I will enjoy their spring blooms – and think of planting more. And swooned as the heavenly scent of the lemon blossoms wafted across the whole yard. Right now the lemon and lime trees are spending their days outside enjoying the dozey bumblebees and the warm sunshine, and then they go back inside when nighttime temps dip too low. The weatherman is predicting a hard freeze later this week so I’ll be doing this citrus dance for another few days at least before I can move them out for the summer. 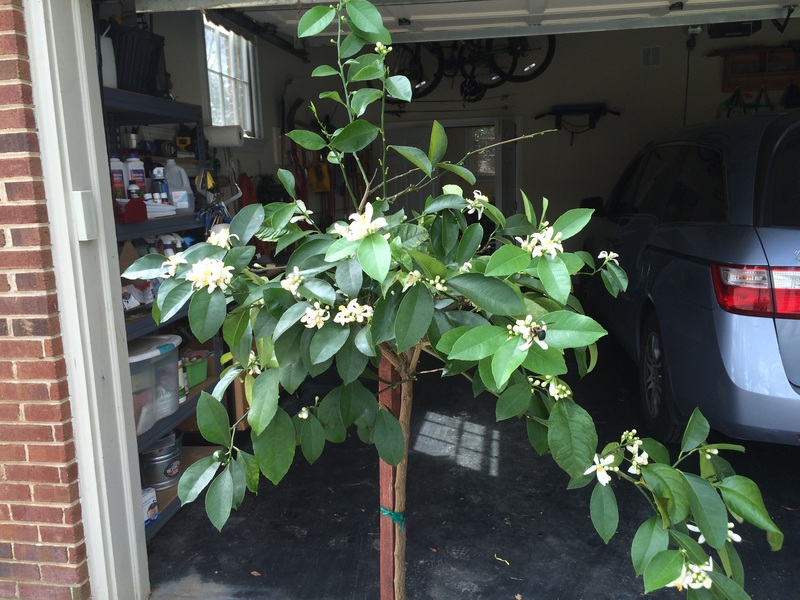 There’s a lime tree to go along with this Meyer Lemon, too. I also threw Holly Tone around everything and now the whole place reeks – ugh! The forecast is for rain tonight and tomorrow morning so my hope is that it will all be washed in and away in a day or so. I feel totally accomplished. Vitamin G really does a lot of good for the soul, don’t you think? And in between, we garden. Thanks! I made it myself. 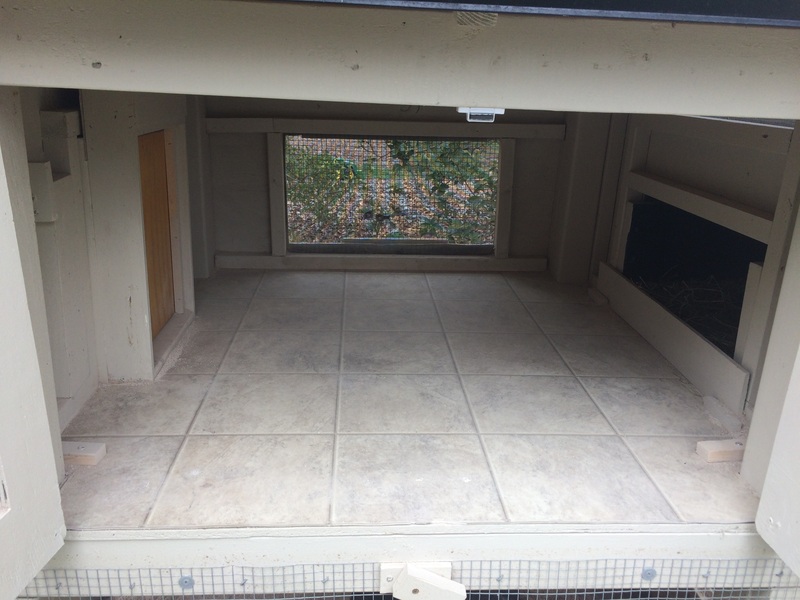 I have to say, it really has turned out to be a sweet coop. Wow, very impressive! How does the PVC feeder work for you? I like it a lot. Space is at a premium for me and it has minimum foot print yet holds a week’s worth of feed. I was using a trigger feeder to start but found the girls liked playing with the trigger, releasing feed all over the ground but then didn’t eat it, which resulted in wasted feed and stinkiness when it got wet. The tube feeder ended all that for me. It is all just hand fitted together and all comes apart for easy cleaning. The only problem I’ve had was that the girls were ‘billing out’ the feed looking for the good stuff and spilling it on the floor. I covered the bottom half of the mouth of the feeder in duct tape and that solved that problem. 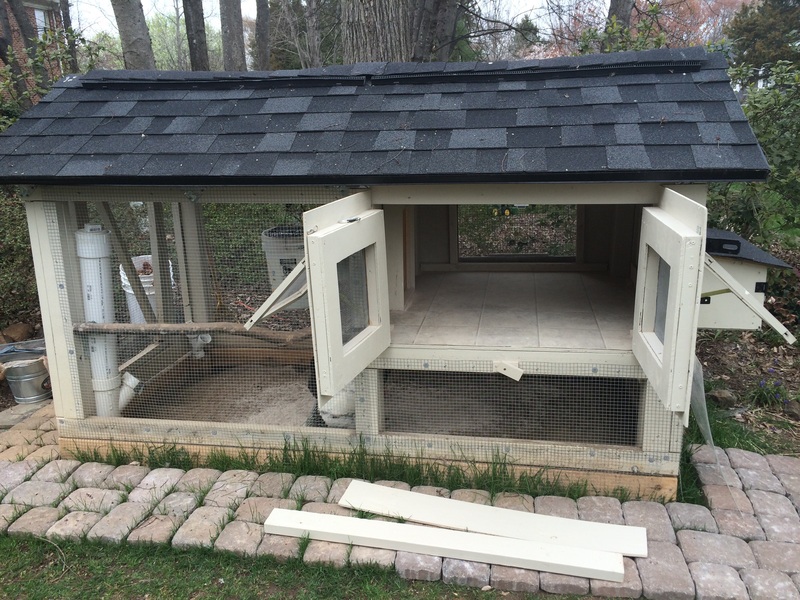 I also have a mini version on the other side of the coop for oyster shell. Highly recommend.